Many family caregivers come home to Hawai‘i to assist aging parents. But how about caregiving overseas? When my mother died, Dad was 93 years old and was already slipping into dementia. 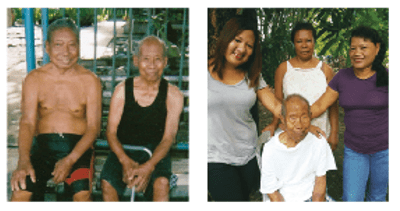 His younger brother (in his late 80s), had retired to Luzon, Philippines, with his wife and insisted on providing care for his older brother, who had done so much for him and his family. He converted a part of his home to accommodate Dad and a live-in caregiver. Dad’s retirement income was enough to pay for his 24-hour care there. Luckily, the US dollar’s value made it possible to get the quality… and personal care needed. Plus, his health was good and he didn’t need heavy medical attention — whew! I had hoped Dad was good with this plan, but the reality of logistics took my brother and me by surprise. To make this move there was plenty to consider, like dual Philippine citizenship in case he needed to utilize the country’s social services and an international bank that offered online banking. 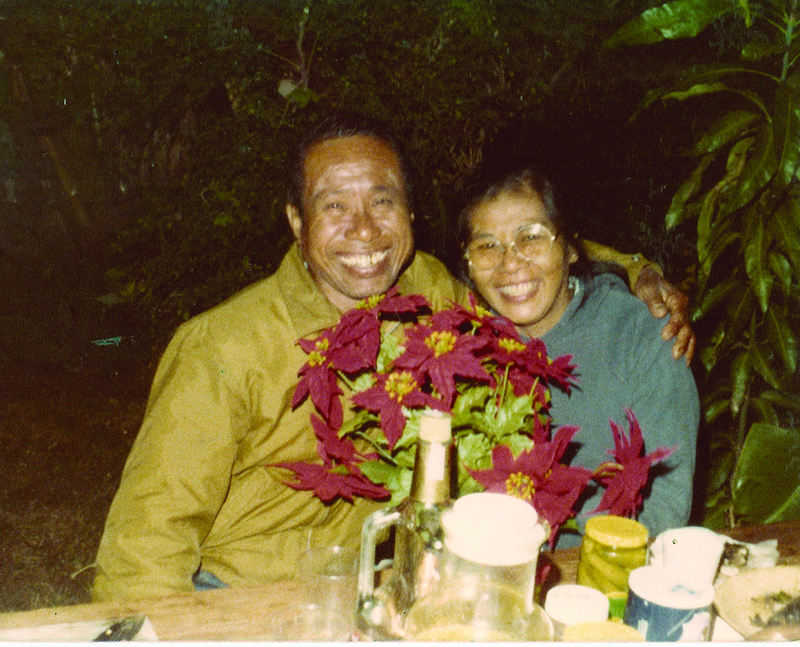 My wife and her family there played a critical role lining up qualified caregivers fluent in Ilocano and English — communication was top on our list. We spent a couple of weeks in Luzon interviewing well-qualified candidates and hired the finalists for one full shift to be sure they were both compatible with and acceptable to Dad. We wanted a focused companion, who would take initiatives and look for changes in health and behavior as Dad’s condition progressed, but foremost one who cared. Uncle was our ears and eyes. Left: Mom and Dad in their earlier years just having fun. Right: Dad and his caregivers. Jonalyn, left, was his primary caregiver and Sonya and Liza were her support help. At times, I felt guilty skirting the experience of truly caring for my father personally. Unlike some of my friends who had given up their personal lives to do just that. The 12-hour Manila flight and six-hour bus ride to La Union province every six months was our only contact with Dad, who was too hard of hearing to converse by phone. I wondered if it was the right thing, taking him so far away. I promised to bury him next to Mom. Though the process of bringing his remains home was complicated, I did it. Uncle got to honor his older brother and in turn he relieved us from some of the financial burden required to set up the same personal care here in the States.